He was on pace for over 1,500 yards and 14 touchdowns, now he isn’t even expected to hit the 1,000 yard mark, and only 6 TDs. He was the second overall running back after three weeks, now he’s #19. He was the clear-cut starter in Miami, and now Daniel Thomas has threatened his spot. He was even benched a week ago after a costly fumble. 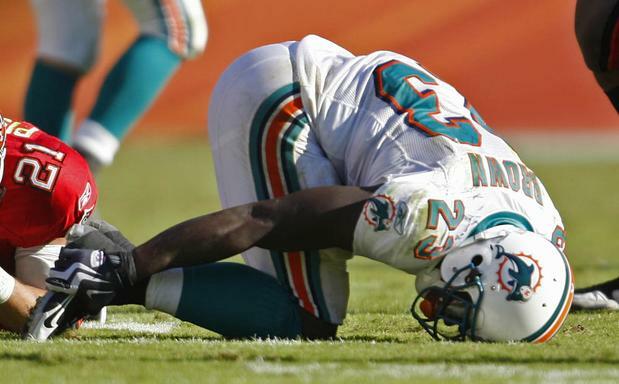 So what the heck has happened to Reggie Bush? After 41 points in the first two weeks, a knee injury knocked Bush out out of his week 3 match-up versus the Jets and he hasn’t been the same since. In fact, since week 2 (31 point performance, bringing his two week total to 312 total yards) Bush has a combined 47 points, including only two touchdowns and two weeks of double-digit fantasy points( and only 457 total yards in 8 weeks). Only twice in that span has he run for more than 60 yards, and even last night versus the Bills (who give up the most points in fantasy to RB) Bush managed only 2 ypc, gaining 20 yards on 10 rushes (the Bills give up on average 5.2 ypc and 153 ypg on the ground). Bush’s lackluster performance has owners everywhere furious, and wondering if he is even worth starting anymore. So I will take a look at his remaining schedule and determine if in fact he should be in your starting line-up. -Jacksonville (28th in NFL and 30th in fantasy) and Buffalo (last in NFL and fantasy) again. This means that in 4 out of those 6 games, the Dolphins are likely to throw the ball, and throw it often. Granted Bush can catch out of the backfield, but not enough that I would feel comfortable in him. Unless Bush snaps out of this funk, or if we soon realize that this is really him, I say that he is NOT a must start anymore in most fantasy leagues. Has Reggie Bush Fallen Off? 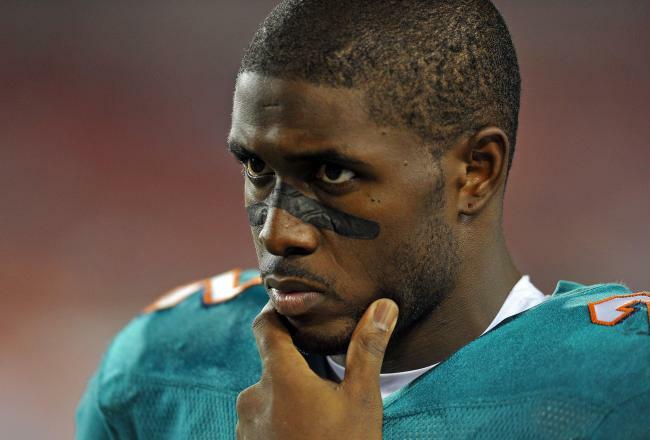 The other week I wrote an article answering the question, Is Reggie Bush a legit stud? I answered yes few weeks ago and I am sticking to it event though Reggie has had some less-than-stellar performances in the past few weeks. Since rushing for 171 yards and two touchdowns in week two versus the Raiders, Bush has since rushed for a combined 193 yards and one touchdown in his last four games, so what gives? We all know Bush went down with a knee injury in week 3 versus the Jets, but not before he rushed the ball 10 times for 61 yards. Since then he just hasn’t seemed himself. Is it still because of his knee or is there something else that’s keeping his numbers down? In fact there is something affecting his numbers; his quarterback. With a rookie quarterback under center teams will force that rookie to beat them, not the weapons around them. Teams have been doing this by stacking up eight men in the box, forcing Tannehill to throw. The Palm Beach Coast quoted Anthony Fasano on Tuesday saying that he still expects teams to put eight defenders in the box with the idea that they’ll stop the run and take their chances against the pass. However, a positive note is the Bush is feels otherwise, and still believes that the rushing title is still within his grasp. Another plus is that Miami’s next opponent, the Jets, rank 28th in rushing, allowing 150.5 yards per game, and gave up 185 on the ground to the Dolphins in the teams’ first meeting, even with Bush exiting the game early. So while I am sticking to my guns that Bush is still a fantasy stud, I am going to pump the brakes a little on my prediction of his numbers come seasons end. Reggie Bush and C.J. Spiller hurt, Who’s left? After both C.J. Spiller and Reggie Bush went down with injuries last Sunday, owners everywhere where in a state on panic. As far as Reggie Bush is concerned, there is no structural damage, and according to James Walker of ESPN.com, Bush might actually play this week, but it’s not a definite. C.J. 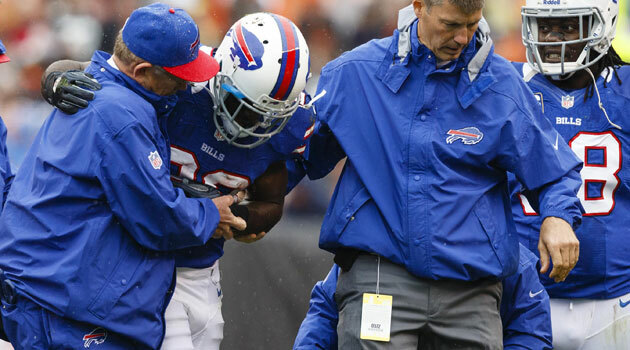 Spiller on the other hand, is out indefinitely for 1-2 weeks. With these two leading the way for fantasy running backs, who can owners look to to fill their spots for week 4? Mikel Leshoure– It’s obvious the Lions are over Kevin Smith, as evidence by his 0 touches last week, while Leshoure had 30 (26 rushes and 4 catches) for over 130 total yards and a touchdown. I am not predicting similar numbers week in and week out, however he seems to be their new go-to guy. Also, the Lions need the presence of a run-game if they want Stafford and the team as a whole to have another successful season, because at this pace they won’t. He is a hot commodity now, so get him while you can, he is currently owned in 37% and started in 6% of ESPN leagues, and started in 24% of yahoo leagues. Jacquizz Rodgers– Although Turner keeps finding his way into the end-zone, it’s clear he is on the downward swing of his career. Rodgers, owned in 9% of leagues, keeps finding a way to insert himself into the Falcons high-powered offense. He’s extremely versatile with the catching ability, speed, and elusiveness, all things that make him a sleeper fantasy candidate. His production does seem to be increasing, and as long as that offense stays hot, he will start collecting more and more points. Tashard Choice: With Spiller out and Jackson likely to play (but still not 100%) Choice is a nice pick-up for owners who either Bills running back. Last week, after Spiller went down, Choice had 99 total yards on 22 touches. Even if Jackson does come back, expect Choice to do some damage himself. Lamar Miller: With Bush questionable, and Thomas giving away a crucial fumble, Miller is not as bad an option as you may think. Playing in two games this season, Miller has rushed 19 times for 113 yards and 1 touchdown. Miller has shown that he deserves to be in the rotation. It’s also worth noting that Bush has had a history of injuries, therefore Miller is not a bad pick-up and bench for now type of guy either. Reggie Bush, Legit Fantasy Stud? After Reggie Bush’s stellar performance Sunday against the Raiders, owners everywhere who have him were doing a celebration dance, and for good reason. After Bush’s 31-point performance (stand leagues) he has catapulted himself into the top-scoring fantasy bracket. However, we are only two weeks into the league, so is Bush a legit stud? Or soon to be dud? Make no mistake about it, he’s for real. Now I am not advocating that Bush will often duplicate last week’s performance, however I am not THAT surprised by it. We all know how good he was in college (granted the NFL is very different) and how freakish of an athlete he is. And now he is finally getting a chance to show how good of a running back he actually is. Now that he is the prominent offensive weapon, on a team that will let him run the ball; Bush might finally live up to his potential. But what about his career in New Orleans? 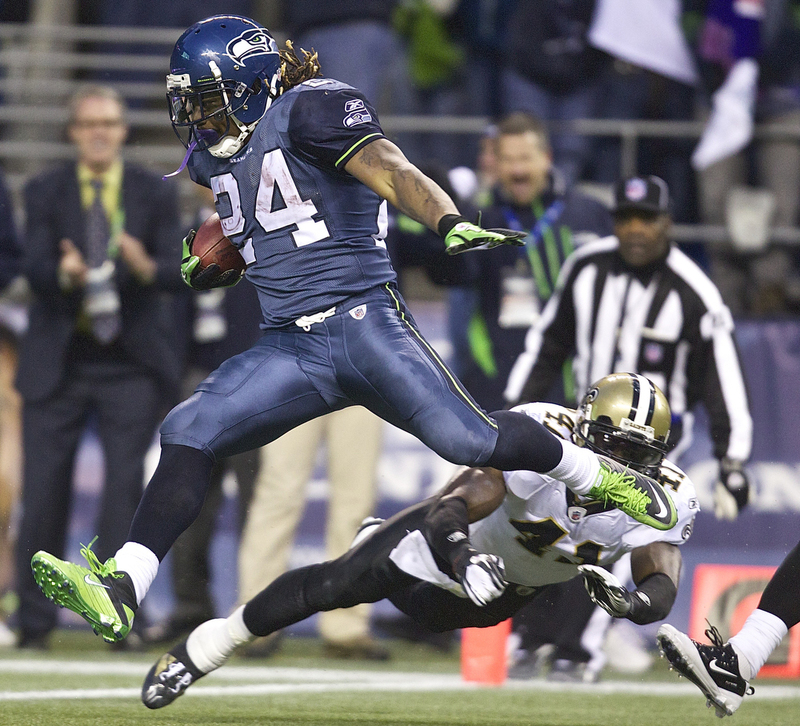 2006 was also the last time Saints had a 1,000 yard rusher. Since Bush joined the Saints, they averaged running the ball only 38% of the time. So it seems as if Bush never really even had a chance to be a star running back while he was there. Bush finally had his first 1,000 yard season (505 yards more than 2nd highest season). Yes, his reception numbers have gone down, but that is to be expected when Brees doesn’t throw you the ball anymore. 40 carries, averaging 6 YPC, 242 yards and 2 TDs. Also has 9 catches for 71 yards. His 242 rushing yards are currently 2nd in the league behind Spiller, and at this rate he is on his way to a 1,936 yard rushing season, but I’ll be realistic and trim that down to my expectation of 1,200 yards. Is Adrian Peterson Still Worth Drafting in the 1st round? Vikings fans and fantasy owners everywhere felt their hearts’ plummet and had their throats overtaken by a 6’1” 220lblump, after star running back Adrian Peterson went down with a gruesome injury. When all was said and done, it was revealed that Peterson had torn his ACL in his left knee, and also had done damage to his MCL. While that is a devastating injury, many remain optimistic of a speedy return due to Peterson’s durability and freakish physique. On the other hand, there are still doubters out there that believe he will never be the same player again. To help settle this debate once and for all, and to determine if Peterson is still worthy of a first-round fantasy section, let’s look at the pros and cons. Starting with the positives, Peterson is young, durable, and thus far has had a hall of fame-worthy career (if he continues to play at a high level). As far as Peterson’s age is concerned, this season will only be his 6th NFL season, and he turned 27 earlier this year. In regards to his durability, before this injury, Peterson has only missed three games total in his first four years, a pretty low number considering all the carriers he has had since entering the league (1198 in his first four seasons). Finally, taking a look at his body of work, his first five NFL seasons put him in a highly-regarded class as far as total TD in his first five seasons, with his stats only surpassed by such names as LaDainian Tomlinson , Emmitt Smith, Eric Dickerson, and Jerry Rice. In addition, Peterson also leads the league in rushing yards since his rookie season with 6,752.
the following season from the same injury, only to see their stats rapidly decrease. That is not to say they didn’t have successful careers after, it just means the following seasons haven’t turned out the way people had hoped. In addition, Peterson is the franchise player for the Vikings, and they are not going to rush him back before he is ready. The last thing that franchise can afford is to lose him for even longer; therefore it is likely they will baby him until he is 100%. Although it pains me to say this, Adrian Peterson is not worthy of a 1st round draft pick this year, it is just far too risky. plethora of other talented RB out there who are due for a big season. Just to name a few who could replace him as a 1st round pick: Marshawn Lynch (finished 7th in rushing yards/game last season and 2nd in rush TD), DeMarco Murrary (only started 7 games last year and rushed for 900 yards), and Reggie Bush (first 1,000 rushing season last year, and all-around threat). A lot has happened in the NFL within the last 48 hours. Injuries, roster changes, and off the field actions have effected many players, and your fantasy line-ups. So I’m here to give you the scoop. 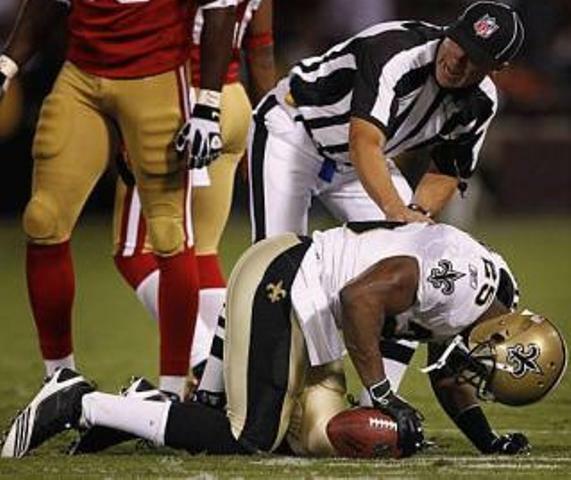 Drop Him: New Orleans, RB, and all around threat, Reggie Bush went down against the 49ers against recovering a muffed punt. His prognosis is in and it doesn’t look good. According to the SF Gate and the AP, Bush has suffered a broken leg. This injury is expected to sideline him for about 6 weeks, but not the rest of the season. However, keeping him on your roster will only take up space. If and when he does return, will he be 100%? Will the Saints rush him back into the lineup if they’re already in playoff contention? Those questions will be answered for sure later in the season. For the mean time, drop him and try to pick up another RB or RB/WR depending on what league you’re in. Possible picks: Mike Tolbert San Diego RB (might not get loads of touches, but does so near goal-line, and especailly with Mathew getting hurt, the Chargers will not rush him back in before he’s 100% ready. So look for Tolbert to rack up the points. Or you could get Malcolm Floyd WR for San Diego. He seems to fill in nice for Jackson, will be a steady source of catches this season. He had a breakout game last week and looks to keep up the fantasy points. Keep Him: Braylon Edwards. Although Edwards landed himself in jail Tuesday morning for a DWI, he is expected to dress, not start this weekend ESPN reports. He is there go-to receiver, so expect him to catch Sanchez eye quiet often, especially with Holmes still out. Don’t loose faith just yet, keep him. Mike Vick. 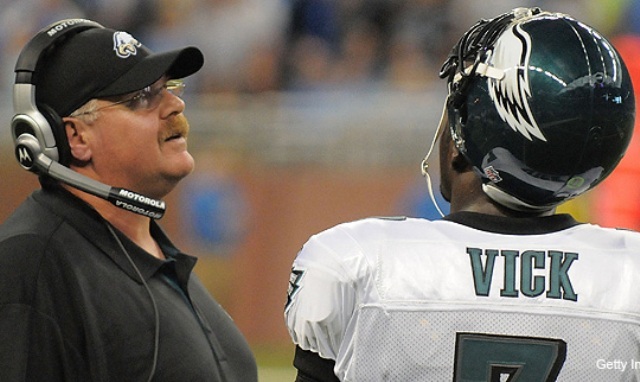 According to Doug Farrar of Yahoo.com, the Eagles promoted Vick to the role of starting QB for the remainder of the season. If by the time you finish reading this, and it’s not too late, go pick him up NOW! Prior to his legal problems Vick was always a top fantasy player, and through the first 2 weeks it seems as if he is returning to his old form. In only 6 quarters of work, Vick has amassed 459 passing yards and 3 TD’s through the air, while collecting 140 yards of the ground, or in fantasy talk, 43 points. Not bad for not even 2 games. With his QB skills looking more and more polished each time out, and that vintage Vick speed catching back up with him, he is a definite fantasy booster. PICK HIM UP!